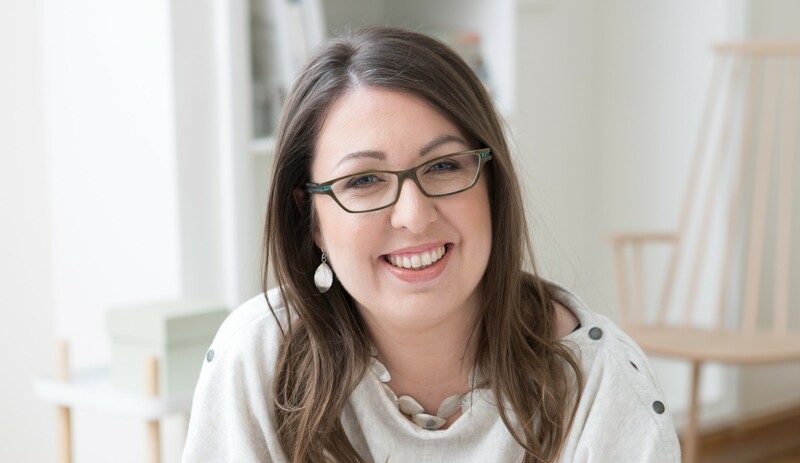 This month’s pick of the month was reviewed by Meike Alana, from the BookPeople event staff and a guest blogger for MysteryPeople. 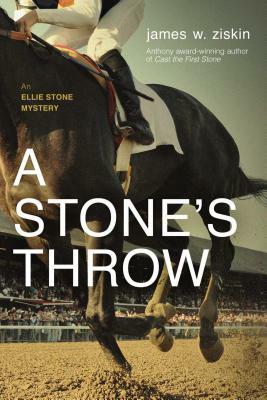 James Ziskin is a perennial favorite here at MysterPeople, so it’s no surprise his latest Ellie Stone mystery, A Stone’s Throw, is our June Pick of the Month. The Edgar-nominated series is set in the early 1960’s and features twenty-something girl reporter Ellie Stone. She’s one of my favorite characters in the canon—wise beyond her years but at times naïve and impetuous, steady as they come with the occasional flare of irresponsibility, deeply moral but hard-drinking and promiscuous. Ellie is a realistically flawed, equally strong and vulnerable female character—in other words an authentic young woman–and that can be a novelty on the darker side of the genre. The fact that she’s penned by a man who is—well, let’s say his 20’s were a few years ago—is nothing short of incredible and speaks to Ziskin’s tremendous talent. This time around Ellie becomes entrenched in the world of horse racing, particularly the seedier side populated by gangsters and thugs. On a sleepless night she follows a police scanner call about a fire at an abandoned stud farm outside Saratoga. While investigating a story for her newspaper, Ellie almost literally stumbles over two bodies that have been burned beyond recognition. 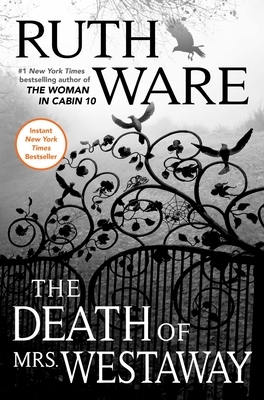 She sets out to discover the identities of the two victims; when she learns the fire was sent intentionally she becomes determined to find their killer as well. To do so she has to convincingly enter the world of horse racing, one to which she’s had no exposure. She needs a guide, someone who understands the history of the sport and the ins and outs of placing a bet. It turns out that Ellie’s best friend Fadge Fiorello is just such an expert. He does show her the ropes at the track and educates her about the key players; unfortunately he’s too busy studying the Racing Form to realize that this just could have been his chance to really impress Ellie. (Instead he has her worrying about his gambling habits….) Through old-fashioned, methodical detective work Ellie is able to piece together the story that caused those 2 individuals to lose their lives. One of the unique things about this series is that each installment deals with a particular social issue of the time—homophobia, misogyny, sexism. Ziskin’s done his research here because he never strikes a false note with his depictions of the past. There’s no nostalgic sugar coating—he’s careful not to cast a rosy glow over what was often a turbulent time. While the world of horse racing can be a glamorous one, it has an unseemly side which Ziskin delves into here. The Ellie Stone mysteries have been recognized by a slew of awards—winner of the Anthony and Macavity and nominated for the Edgar, Barry, and Lefty awards and all of those accolades are earned. Ziskin is a linguist by training and that shows in the lyricism of his prose. We hope he can come up with many more titles involving the word Stone so we can keep watching Ellie grow. 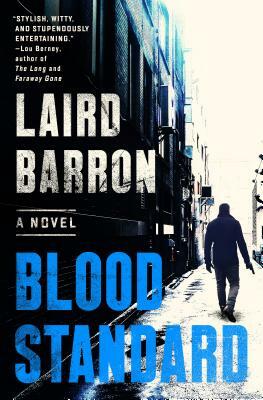 Scott reviews Blood Standard ahead of Laird Barron’s visit to the store on Friday, June 1st at 7pm. Laird Barron, an author mainly known for his horror and weird fiction, has only has dabbled with crime fiction in the past. He has written a novella and a handful of short stories that work as tributes to hard boiled fiction. In Blood Standard, he charges into the genre, guns blazing. He gives us a great hard boiled protagonist is Isiah Coldridge, a Moana working as a mob enforcer in Alaska. When a situation over a walrus causes him to high tail it back down to the lower forty-eight, he lays low at a horse farm in upstate New York. Soon the owners’ troubled granddaughter goes missing, and Coldridge sets out to find her along with another hired hand with a violent past due to his time in Afghanistan. His questioning and punching leads him further and further into a dark underworld the girl is trapped in. Barron proves to be an apparent fan of the genre. Coldridge is cut from the same cloth of David Rabe’s Daniel Port and Dan Lewis’ Jack Carter. The style is terse and straight forward and the world uncompromising. There are few chapters void of an action sequence of some sort. However, his background in horror allows him to give a special spin on the tale. He injects the anything can happen quality of a horror story, grounding it in a more physical, though still fantastic, world of hard boiled. It places both Coldridge and the reader on less solid footing and allows us to buy into the darker reveals. Blood Standard proves to be a must read for hard boiled fans, told in a way that would make Hammett proud. Isiah Coldridge is a tough guy with his own voice and several directions to go. I hope Laird Barron more time on this side of the playground. Matt Coyle brings that classic trope of the tarnished knight/errant private eye to his Rick Cahill series. In the latest book Blood Truth, things get even more emotional than usual when an old flame hires him to follow her possibly cheating husband and he discovers an envelope full of cash and a safe deposit key in his father’s safe. One leads to the murder case that ruined his father, the other to a body in a car trunk. Before Matt joins us for a panel discussion on December 7th with Con Lehane and David Eric Tomlinson, he took some questions from us about the new book and the emotional journey of his hero. MysteryPeople Scott: What made this the book for Rick to go into his father’s past? Matt Coyle: I’m not a great planner, so I can’t say this was always going to be the book that solved the mystery of Rick’s father. However, his father’s fall from grace has been a continuing thread, one of the dark clouds hanging Rick’s head since the first book Yesterday’s Echo. I go by my gut a lot and the father story felt right here. The writing and the emotion of Blood Truth was made all the more poignant when my father died suddenly three months before I began writing it. I’d already settled on the story before my he passed, but obviously, his passing made the book more personal than all the other books I’d written. MPS: What does Moira provide for him other than a partner? MC: Moira is a PI like Rick, except better at it. I introduced her in the second book, Night Tremors. She was in a few scenes and in the next book, Dark Fissures, she had a very small part. I needed her for an early scene in Blood Truth and then she was supposed to go away. But she didn’t. She forced her way into the story and gave the book much more depth and meaning than it would otherwise have had. Moira gives Rick balance. She looks at all sides while Rick may only see three. In Blood Truth, she is really the conscience of the book. But, her most important contribution to Rick is her friendship. Rick has an ex-girlfriend and an ex-partner, but he had no real friends until Moira showed up. She tries to keep Rick in line and gets angry with him, but she never fails him. MPS: You really tap into that classic mood of a private eye novel. Who would you consider major influences in the genre? MC: For me it all starts with Raymond Chandler. I read him as a kid. Of course, I loved the writing and the language, but what first grabbed me was Philip Marlowe. He lived by his own code. He did what he knew to be the right thing even when it pitted him against the police or more powerful entities. I’m a big fan of Ross Macdonald, too. Through Lew Archer, he examined all levels of society just by following clues. Contemporary private eye influences are Robert Crais and Walter Mosley. MPS: Besides familiarity, what makes La Jolla a strong setting for the series? MC: In the first draft of what became my first book, I fictionalized La Jolla. My brother-in-law read it and told me people like reading about real places, so I went with the real town and just fictionalized the police force and a couple other things. Best advice I ever received. La Jolla is a little slice of coastal paradise and is known as a vacation destination around the world. Thus, it attracts a wide variety of people and a lot of wealth. But even wealthy people have problems. They just have money to try to cover them up. When I’m writing about La Jolla, I sometimes think of the opening scene from the movie Blue Velvet with the wide swath of a perfectly manicured lawn…and the dark beetles churning underground. Sometimes paradise is only skin deep. MPS: The book moves along through many well crafted reveals and reversals that all have a natural feel. How much do you plan out a novel? MC: Thank you. As mentioned above, I’m not much of a planner. I don’t outline. I start with character and try to find the right catalyst that will move the plot forward and also reveal character. I try to find a case that will force Rick to become emotionally invested. The story really builds around that. I try not to force the plot and let the reveals and plot twists flow up from my subconscious. I know it sounds ridiculous, but I try to let the story come to me instead of chasing it. Sometimes an idea will bubble up in a sentence and I’ll drop it in a scene and I don’t really know what it means. Sometimes it can lead to a whole new angle on the story and other times it’s nothing. I call that dropping anchors. Sometimes, I have to go back and pull up the anchors, but, more often, they stay and improve the story and lead me to the deeper meaning. I know, weird. MPS: This book I felt Rick came to terms with a lot of the things he was dealing with in the previous books. Do you have a new direction planned for him? MC: I wish I could tell you I have his whole character arc planned out, but I don’t. He will be carrying a little less baggage than before, but he’s not going to all of a sudden have his life together. Plus, in book five, the one I’m writing now, he’ll have to deal with something that flares up in Blood Truth. However, I do see his relationship with Moira growing and the potential for happiness somewhere down that dark lonely road. This Sunday, June 7th, at 6:30 P.M., MysteryPeople presents a screening of Bertrand Tavernier’s Coup de Torchon, the film adaptation of Jim Thompson’s Pop. 1280, followed by a discussion of the book and film. At each double feature event, we screen a film version of a roman noir we know and love. Each screening is free and open to the public, and takes places on BookPeople’s third floor. Nobody understands noir like the French, which makes sense since they coined the term. The get that noir does not so much represent literary style, but rather stands for the relationship man has to the darker side of his nature. Director Bertrand Tavernier’s Coupe De Torchon, an adaption of Jim Thompson’s gothic noir classic, Pop. 1280, takes the dark American fiction that inspired French literary theorists to introduce the term “noir” post-WWII, and puts it on screen in a French context that preserves all the complexity of the original novel. Pop. 1280 is almost a play on one of his other revered novels, The Killer Inside Me. As in that novel, the protagonist is a questionable small town lawman, Nick Corey, sheriff of the small Southern county of Potts in the Nineteen-Teens. Nick is lazy, talkative, corrupt, and upon first meeting, appears incompetent. He’s Forrest Gump with a badge, gun, and few scruples. When he shoots two pimps who publicly humiliate him, it starts an escalation of violence and a power play involving his wife, mistress, an opposing Sheriff candidate, and the disenfranchised African Americans. The book often reads as a social satire,with murder as a redemptive act. Coupe De Torchon moves the setting to French Colonial West Africa on the eve of World War Two. The lawman is Lucien Cordier, a village constable played in a bumbling low key demeanor by Phillipe Noiret. The film follows the book almost plot point by plot point, the setting fits perfectly for the sheriff’s benign brutality as he commits crimes in the glaring African light with a matter-of-fact-presentation. In fact, the main difference is the film’s more reserved tone. Much of this may be translation, for little of Thompson’s ripe prose and Southern dialogue comes through clearly in the film, although the film compensates for the translated dialogue with physical humor that feels very French. That said, it captures the novel’s themes of class and one society repressing another, both with more clarity and slyness. The title is roughly translated into “A Clean Slate”, which fits perfectly as the film and novel are both looks at regeneration through violence. Coup De Torchon, along with the many other Thompson novels adapted for cinema, proves the malleability of Thompson’s work. The way he looks at violence and the practice of power through violence is timeless and universal in its application to the human condition. Both the novelist and the filmmaker he inspired had a lot to sat about this subject. Copies of Thompson’s novel are available on our shelves and via bookpeople.com. We screen Coup de Torchon on Sunday, June 7th, at 6:30 PM on our third floor. The screening is free and open to the public, and will be followed by a discussion of the book and film in contrast. Books are, even in today’s world, still the best narrative medium for contemplation. The reader has enough control to stop and extrapolate a bigger idea after a sentence, allowing the reader and book to have a dialogue. Prose gives both an intimacy and distance to take in everything intellectually and emotionally, allowing us to draw further conclusions. That quick moment made me think about how the division between police and some of the the lower class communities they patrol can encourage corruption. By making those people the other, it becomes easier to collude with the upper class, being co-opted as enforcers for the rich and powerful. Doing The Devil’s Work is obsessed by this idea and explores it with nuance. The story begins with what starts out as a routine traffic stop with a couple after she’s discovered a body. Loehfelm captures the mix of dread and humiliation when pulling over a belligerent person. When she arrests the man and holds the woman, she gets pulled into and compromised by a plot involving militia groups, a drug dealer she’s been wanting to bust, the obnoxious rich boy Caleb Heath, and her fellow officers. It’s this look at city corruption that makes this book a standout. By making Coughlin a street cop, new to the streets as both citizen and cop, we get a ground level view of corruption and its impact. For Maureen to survive on the job where she has to rely on her fellow officers, she has to compromise herself in the go-along-to-get-along understanding of her department. It makes it close to impossible for her to draw the line. It’s her ability to to see herself in those she patrols that allows her draw her own lines. Doing The Devil’s Work is like mixing The Wire with Treme together. It gives you a feel for one of this country’s most atmospheric cities while looking at its cycle of corruption that both fuels it and holds it back. What makes Maureen a heroine is her messed-up past that allows her to identify with those she serves and sometimes arrests. I’ll be rooting for her to keep that ability in books to come. You can find copies of Doing The Devil’s Work on our shelves and via bookpeople.com. Bill Loehfelm joins us Monday, February 16, for Noir at the Bar at Opal Divine’s. Come join MysteryPeople for an evening of booze, books, and crime fiction with some of our favorite authors. It’s not too long into reading The Long and Faraway Gone that you sense Lou Berney’s ambition. The plot involves at least three mysteries, two of them taking place over twenty-five years ago and interacting with the present, and the thematics raised have no easy answers. Even with these challenges, the author proves to be more than up for the challenge. We are introduced to two mysteries that begin in Nineteen-Eighty-Six Oklahoma City. One is the robbery of a movie theater after closing, where all but one worker is executed. The other occurs about a month later at the State Fair when Genevieve, a girl in her late teens, leaves her little sister behind to meet up with a carny. She tells the little girl, she’ll be back soon. She never returns. Berney then takes us to the present to follow two people struggling with each crime. Wyatt, the survivor of the theater massacre, is working as a private detective in Vegas. A favor sends him back to Oklahoma City to help a former cocktail waitress who inherited a club from a millionaire she used to serve. She thinks she’s being harassed by the man’s relatives to give up the property and needs proof. Still haunted by survivors guilt, he grows more obsessed with the question of why he survived when he learns that the men who were accused may have not been the ones to commit the crime. We also follow Juliane, the little sister left behind on the midway, also weighted with an unsolved past. Not even knowing if her sister is dead or alive, she has warring feelings toward Genevieve. When she learns the carny her sister left to meet is back in town, she sets herself up as bait. Both stories run parallel to each other. Do not expect a grand James Ellroy conspiracy tying them together. Bernie leaves the complexity for the emotions, knowing to plot as simply as possible for an elegant effect. He gives us just enough tropes in both the PI and thriller genre and gives us fully realized characters to mark each plotline. The book is more concerned with Wyatt and Juliane coming to terms with their history. Solving the crime is just part of the process. It’s fitting that the setting is post-9/11 New York. It did remind me of Ellroy’s My Dark Places, the memoir of the author looking into his mother’s unsolved murder. What’s amazing is how such an emotional and meditative narrative never loses a brisk pace. Part of this is done by embedding Wyatt’s case with the bar owner into the story. It gives us a more traditional, involving mystery, while it brushed the two main stories up against one another. His main plan of attack is by focusing on revelations more about the victims than perpetrators. It keeps propelling the book forward while challenging Wyatt and Genevieve’s perceptions about the past and the people they love, allowing the subtext to surface. The Long and Faraway Gone is a book that aims high and hits the mark. It gives us an involving tale that explores loss, history, and obsession. Its emotions are both nuanced and visceral. I look forward to the next bar Lou Berney sets for himself. Copies of The Long and Faraway Gone hits the shelves Tuesday, February 10 and is available for pre-order via bookpeople.com.